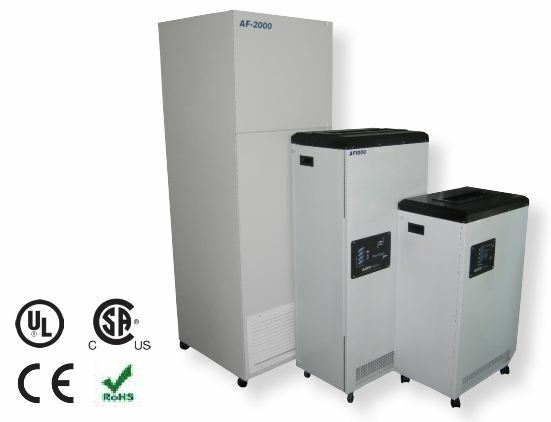 Call us, toll free: 1-800-626-0664, for help in choosing the right air filtration system for your needs. You may also fill out the contact form below. We’ll get back to you as soon as possible. This entry was posted in Chemical Fumes Gases, Commercial Air Filtration Air Cleaner, HEPA filtration, Industrial Commercial Grade Air Filtration Systems, Mold removal, mold remediation, Print Shop, Print Room, Graphics Arts and tagged Activated Carbon Chemical Filter Air Filtration, Air filter, air filtration, air filtration system, air purifier, chemical fumes, chemical gas filter, dust, Filtration, HEPA, odor, odor removal, portable air filtration, print room, printer toner, printing, Pro Series air filtration system, Professional Air Filtration, Screen Printing Company. Bookmark the permalink.